This week in Review Roundup we look at luxury leathery book-a-like iPhone cases. All three are made to last, with real leather or bookbindery covers. Two are ultra tough, one is a little more low-profile, and all three will probably last you forever. But which one is best? Pad & Quill’s Luxury Pocket Book, a wood-framed, leather covered wallet case with space for some cash. 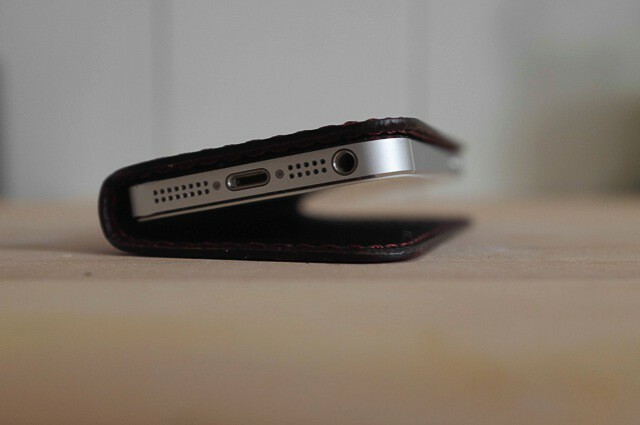 Davarg’s Kanam is a simple wraparound flap of leather with a (somewhat reusable) sticky pad that glues the iPhone into place. It’s less bulky than the other two, and very nice looking. Meison Morgan’s Handmade Case is a lot like the Luxury Pocket Book, only it has a bookbindery cover instead of leather. Manufactured in Greece using the same bookbinding process that traditional notebook makers use, this case offers not only good looks, but also all-round protection that promises to withstand the test of time. It’s available in black and denim (blue), and it’s super affordable at €30 ($46). 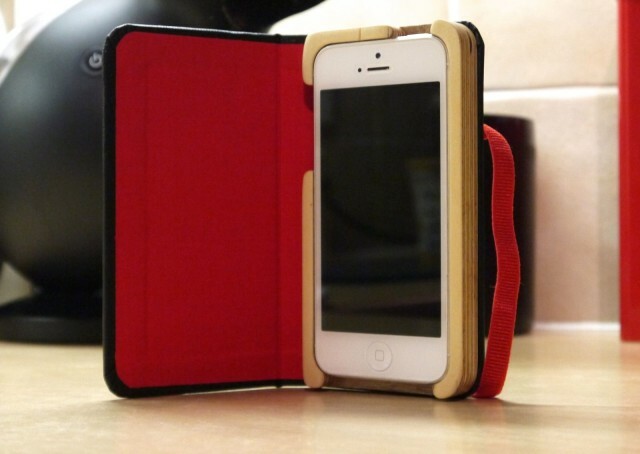 On the whole, the Meison Morgan is a fantastic iPhone case that looks great and offers plenty of protection. It’s also relatively inexpensive at €30. But the experience is marred somewhat by a couple of issues that could so easily be fixed. If its makers can iron out those problems, then I’d have no reservations about recommending this case. The Luxury Pocket Book is a leather-bound book with a Baltic beechwood insert, a leather lining and slots inside the front cover for credit cards and cash (bills, not coins). It has cutouts for all your ports and buttons, plus a hole in the back for the camera and flash. Lastly, there’s an elastic strap to hold it closed, just like on a Moleskine notebook. The Kanam is a book-like wraparound cover which protects the back, the front and one edge. Unlike the SurfacePad, the Kanam protects the right edge, opening backwards (or forwards if you’re one of those manga weirdos). This leaves the mute and volume switches free to be used. There’s also a small cutout over the phone speaker so you can talk with the case closed and still hear the conversation. The iPhone 5 itself is held in place with a sticky, reusable adhesive pad. You just clean the back of the phone, peel off the protective waxed sheet (setting it aside in case you ever need to take the iPhone out of this case) and stick. It holds just fine. The winner? The Pad&Quill Luxury Pocket Book. Why? It’s expensive, but it’s made to last. The Meison Case is already falling apart in our review, and the Davarg is bulky without adding any extra features. 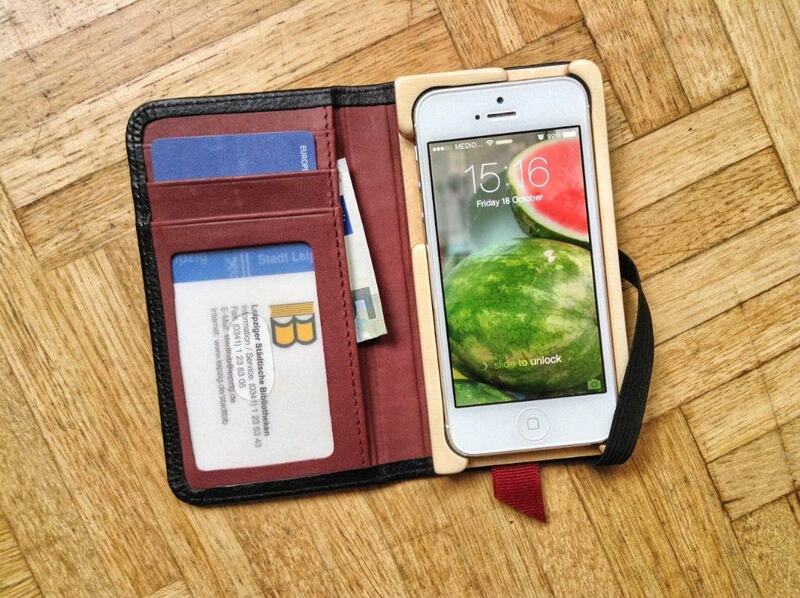 The P&Q case wins for a combination of craftsmanship and clever design.